Fractures are fairly common injuries in motor vehicle accidents in and around Los Angeles. They’re caused by force and blunt trauma, and the fractures are often serious. 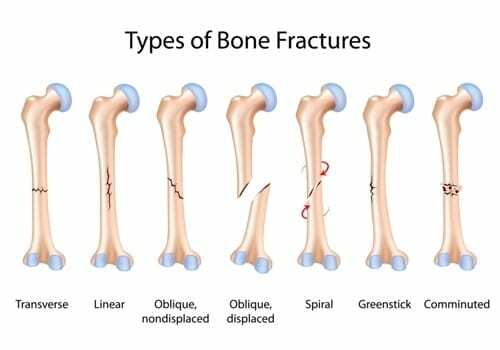 One bone could break in more than one location, and more than one bone can be fractured. Many fractures that are caused by motor vehicle accidents require surgery and physical therapy in order for the victim to reach maximum medical improvement. The insurer of the person who caused your injuries might be contacting you to see how you’re feeling and get your side of the story. Don’t give any type of a statement, especially if they want it in written or recorded form. No law requires you to help the person who turned your life upside down. That insurer will only try to use your statement against you in the future. If the person who caused your crash was injured by the same insurance company as you, it’s very important that you contact our offices right away. Nearly all fractures are going to stay with you in one way or another for the rest of your life. A simple fracture that healed nicely might cause some pain or discomfort on a cold and wet day. With any fracture involving surgery, you’ll carry that hardware around with you for the rest of your life. Rods, plates, screws and pins could remind you of that crash every day. Expect something more substantial than occasional minor discomfort. We represent clients in their claims on all types of fractures. If you or somebody close to you suffered any type of a fracture in a motor vehicle collision that was the fault of somebody else, preserve and protect your rights by contacting us right away for a free consultation and case evaluation. Any type of serious fracture is going to have permanent consequences. You deserve full and fair compensation, and our goal is to maximize that compensation for you.